which is situated in the state of Washington IL. five thousand people died in the Philippines due to it. There are tragedies due to weather changes all over the world. is not as devastating as the large one in the Philippines. However, a storm is always an danger. How can the weather problems be fixed? 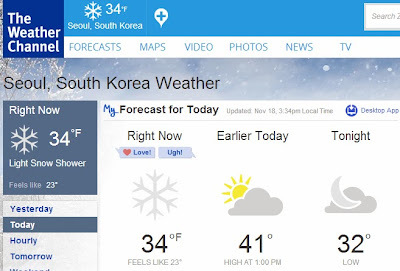 Snow has fallen in Seoul, the capital city of South Korea on the year of 2013. 7 ~ 8th month-summers, 9~11th month, fall and 12 ~ 2th months is winter. it seems like the Christmas season already. 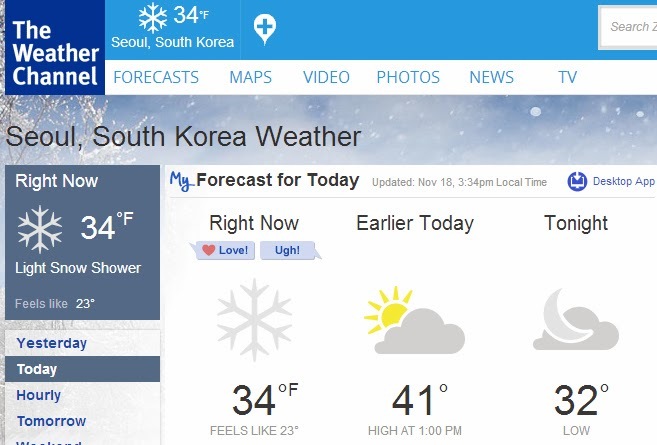 Korean weather is the most stable. The weather problems in the U.S and Philippines are not just their problems. About twenty people are reported to be missing due to the storm in the Philippines. Furthermore, numerous Koreans live in the U.S.